Benjamin Hawkins started his study of HEMA in 2010 with the Academy of Historical Arts in Glasgow. Since then he has been exposed to a wide variety of HEMA discipline including Scottish broadsword, bayonet, peasant staff, dagger, sword and targe, quarter-staff, Bowie knife and longsword. 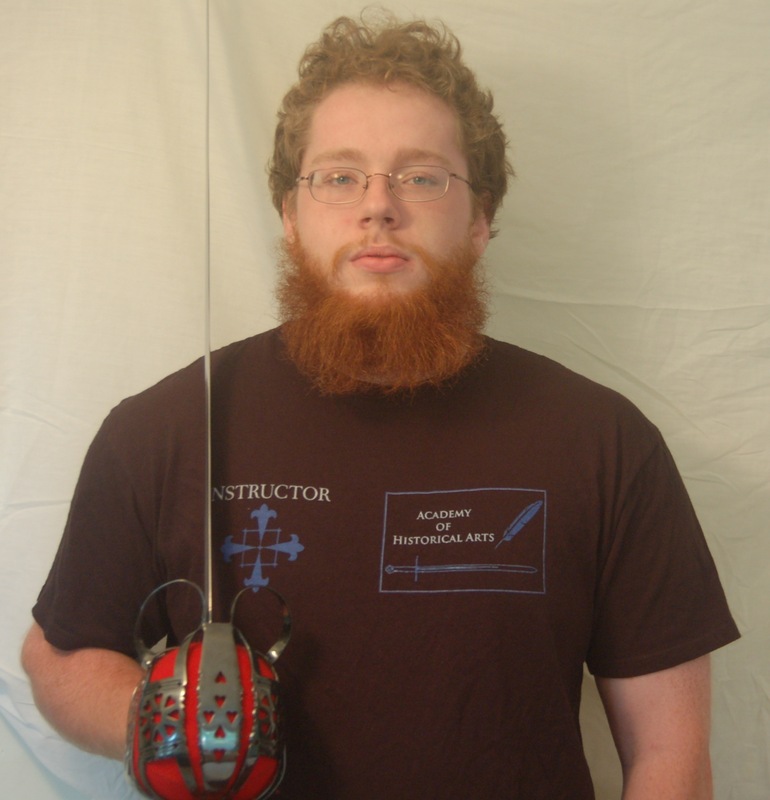 He has taken Scottish regimental broadsword and ensuring proper cutting mechanics as his main focus of study. He has placed 2nd in cutting at Longpoint 2012 and 2014, 2nd in cutting at Washington DC HEMA Open 2016, 2nd in cutting at Boston Sword Gathering 2012, and 2nd in cutting at Iron Gate Exhibition 2013 and 2014.